Also known as NAIA-3, was built in 1997 and is regarded as the largest and newest terminals of all existing ones. The overall are of it is around 182.500 square meters with the car capacity of over 2.000 cars and 1.200 as for the outdoor parking area. The capacity of that terminal is around 33.000 passengers daily and 13 million passengers annually. Terminal 3 is connected with the 25-hectare residential and commercial area ‘Newport City’ by the 220-meter long footbridge opened in April 2017 (Runway Manila). 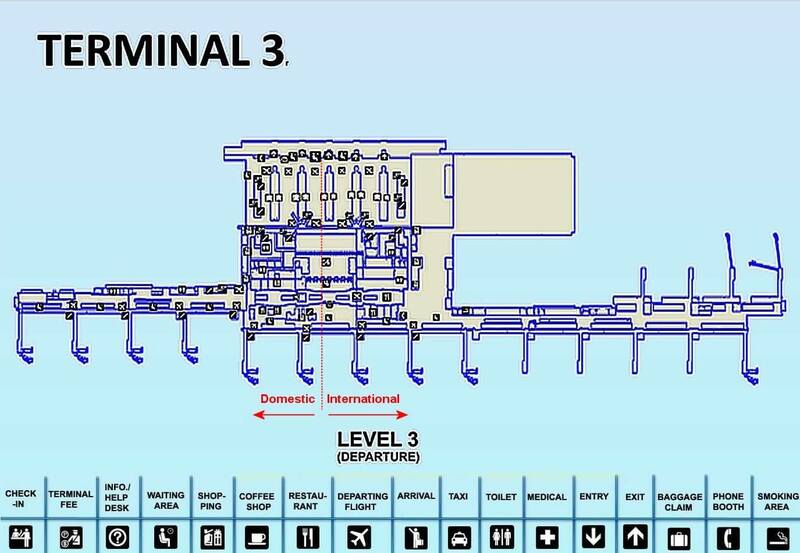 The terminal has 20 gates and 34 jet bridges, that allow serving 28 planes at a time. Since 2008 the terminal has started to serve domestic flights, furthermore, since 2010 is started to manage international flights too. Unlike the Terminal 1, Terminal 3 served the first foreign-based carrier All Nippon Airways in 2011. 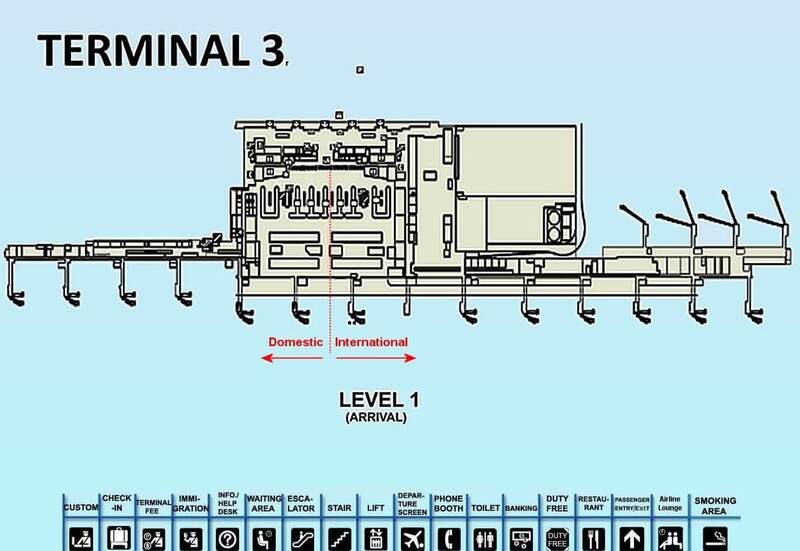 The terminal consists of 4 levels: Ground floor, where arrivals hall, cafes, medical station, information desk, baggage claim and car rental offices are located; 2nd floor, where departures hall is located; 3rd floor that leads to the boarding gates and 4th floor, where the one may access the 118-120 and 130-134 boarding gates, cafes and duty-free. Additionally, the terminal gives access to the medical center, transfer transportation, restrooms, ATMs etc. The one may find several types of Lounge areas here: Pacific Club Lounge, Skyview Lounge, and Wings Transit Lounge. The parking lot here has the capacity of over 1.200 cases, the separate parking building can host around 2.500 cars.